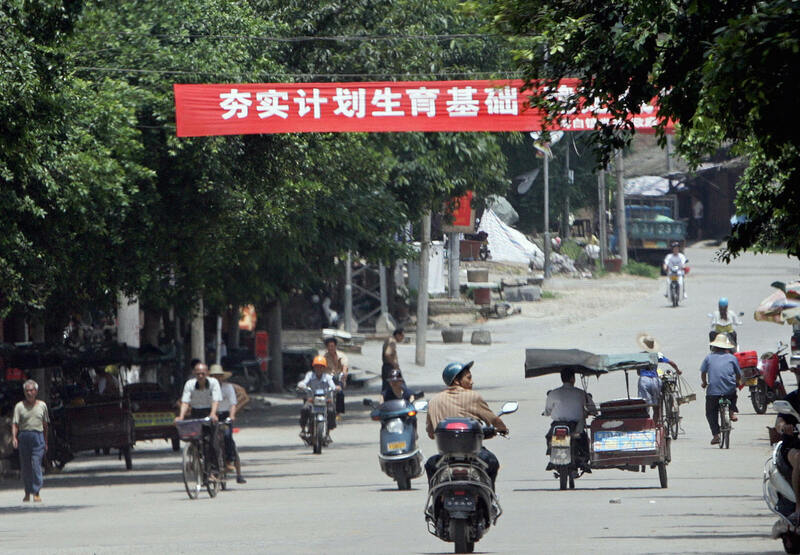 A red-and-white banner bearing the government slogan ‘Support the One-Child Policy’ hangs across the road leading to the Bobai town government office, in Bobai county, southern China’s Guangxi region, May 24, 2007. In this podcast, Jeremy and Kaiser talk with Mei Fong about the policy’s history, its effectiveness, and the consequences of nearly four decades of mandating a family’s size. Mei also discusses her heartbreaking encounters with parents who lost their only children in the 2008 Sichuan earthquake, and their subsequent rush to have their vasectomies and sterilizations reversed. She provides insight into the people who designed the policy (rocket scientists—literally, rocket scientists! ), those who enforced the rules, what lies ahead with the relaxation in the policy, the 30 million unfortunate bachelors who can’t find a mate, and the fate of grandparents who have only one descendant in a culture that used to regard a large family as the ultimate happiness.